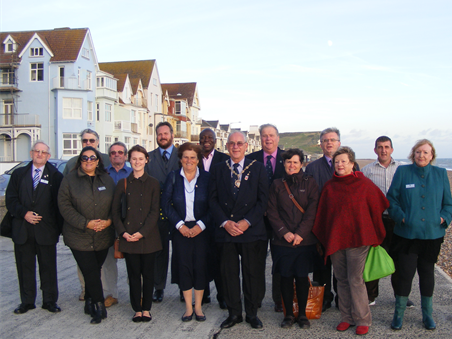 ​Seaford Town Council encourages residents passionate about Seaford to stand in the local elections on 2nd May 2019. We welcome and are committed to the inclusion and recognition of all regardless of race, culture, ability, ethnicity or gender identity and expression, sexual orientation, marital status, religious affiliation, and socioeconomic status. This helps us to enhance the Council through the diversity of experiences, diversity of skills and diversity of knowledge. This will also support the Council to be even more representative of the community in which we serve. There is currently a national call on local councils to especially encourage younger members of the community to stand for election. There are currently 120,000 councillors serving on the 10,000 local councils in England, only 1% of which are below the age of 25! getting involved locally to ensure the services are meeting your community’s needs. engaging with residents and speaking on behalf of the council to outside bodies. Ahead of the election the Council hosted a Become a Councillor Information Evening. This was well attended and gave individuals considering standing for election the opportunity to find out a little more about what the role entails, the expectations and demands, and the chance to meet with existing Councillors and Council staff. 2015-2019 Town Councillors having just taken office!